Celebrate fun-filled events of every kind with the exclusive My Acrylix® Showtime Stamp Set, which features playful, circus-themed icons and sentiments that will be just the ticket! It’s one week until Halloween. 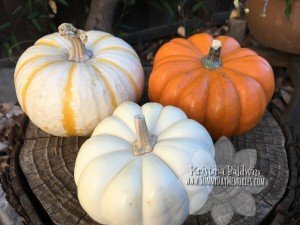 If you are looking for a fun project to do with the kids that’s a little different than the traditional pumpkin carving–then this is your answer! 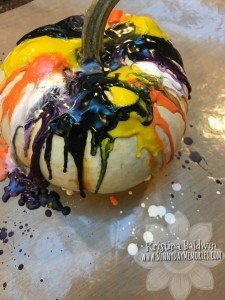 These Melted Crayon Pumpkins are super easy and are so cool to create. Select your colors of crayons you wish to use. Figure out if you want it to be a pattern or just random. 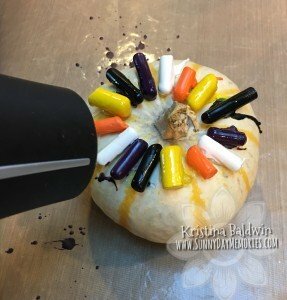 Then begin to hot glue each crayon onto the top of the pumpkin around the stem as shown. I did a pattern using traditional Halloween colors (orange, yellow, white, black and purple.) 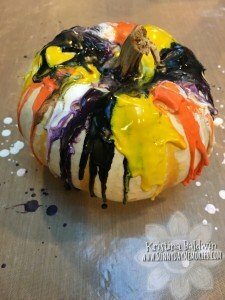 Initially, I thought about doing candy corn colors–that could be a lot of fun, too! With your hair dryer on low setting, begin to heat up the crayons. The high setting works super well, but tends to splatter a great deal more! 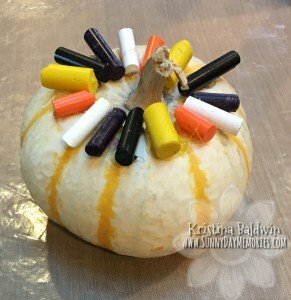 But if you’re using CTMH’s All-Purpose Mat beneath your pumpkin, you have nothing to worry about as all the wax pops right off! 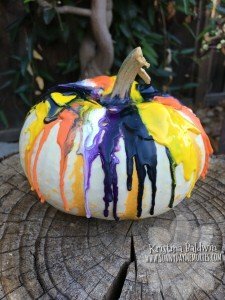 As you continue to heat up the crayons, they begin to drizzle down the sides of the pumpkin. 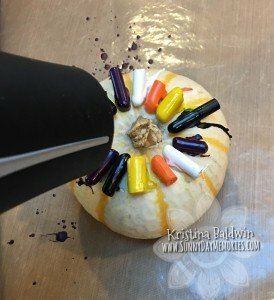 As it really warms up and the crayons are all melting nicely, you’ll find the melted wax will also begin to pool around the stem of the pumpkin, too. It gives it a nice finished touch. As you can see, it’s a relatively easy process. 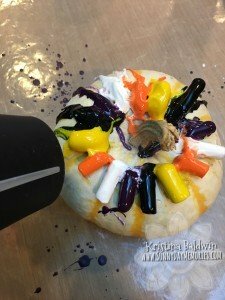 The only thing to keep in mind is helping the little ones with the hot glue gun and making sure they don’t get burned with the hair dryer as it heats up. The process will take a little longer with the low setting. Maybe 20 minutes? Somewhere about that amount of time. Again, you could do the high setting to really speed things up. But doing it on the low setting also gives you a little more control over the dripping process. With the high setting, it’s likely that some of the colors will mix together creating less defined colors. But I have no doubt that that would still look very cool! Give it a try and leave a comment telling us how it goes. 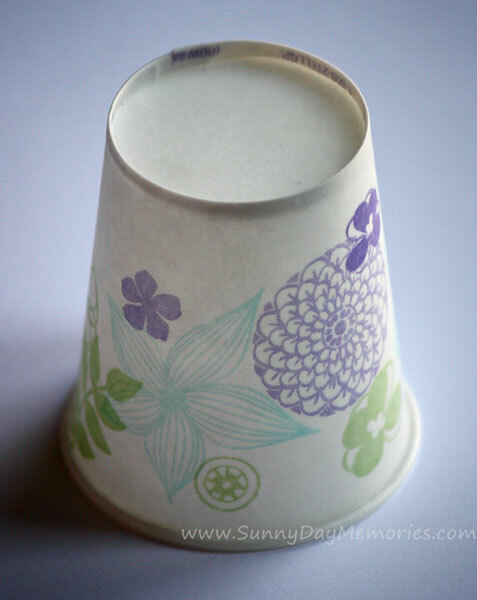 If you stopped by our Close To My Heart Scrapbook Expo booth in Santa Clara, CA this past August, you would have seen these Dixie Cup Party Lights I made and strung across our booth. I had every intention of posting instructions (they are really quite simple!) shortly after the event, but life somehow always gets in the way! But I decided it’s better late than never, right?! It’s official, the Fall Soccer Season is over. Phew, we made it! I’m excited to have my Saturdays back as well as my Wednesday and Thursday late afternoon/evenings back, too (at least until Spring time!) My son’s coach asked me if I could make up the End-of-the-Season Gifts for each of the players on the team. With limited funds and also knowing I hate all the little trinkets my kids get that lay around our house, I was on a mission to try to avoid that. 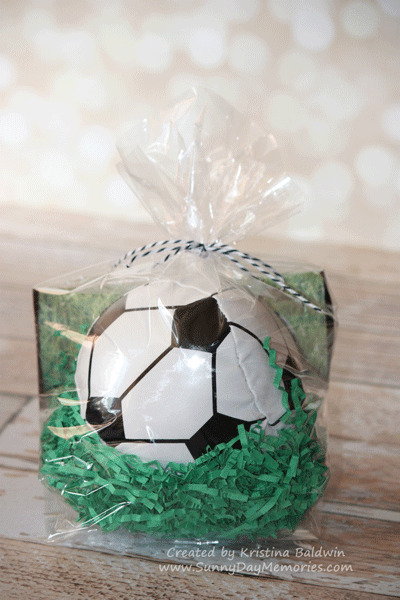 Initially, I found some great 4″ soccer balls at Target and was so excited because they were CHEAP and looked great–but they only had 2 and I needed 12! Boo. Even with the numerous Target stores in our area, I was unable to find enough so plan B…Amazon! Not quite as cheap (nor as well made!) I found some similar 4″ soccer balls that would fit the bill. 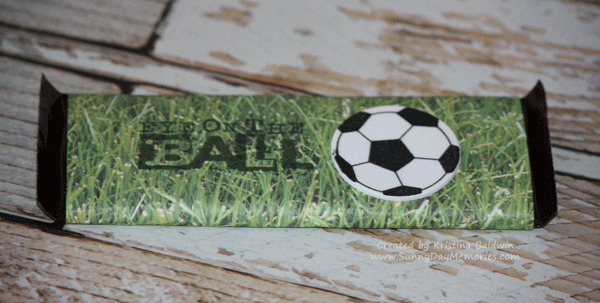 With the little bit of money I had left over, I decided to get some Hershey’s Chocolate Bars and wrap them up in a stamped candy bar wrapper complete with a foam soccer ball for added dimension. Needless to say, these were a hit! One player even referenced the possibility of a golden ticket in the wrapper from Willy Wonka…not something I even thought of, but could be a great idea for future ones for sure! 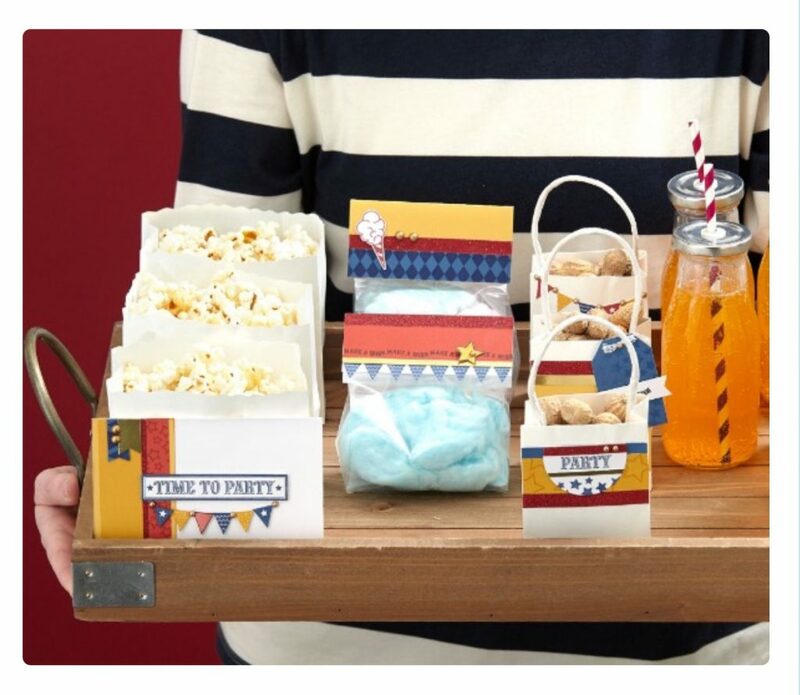 Watch this 6-minute video to learn how to make your own perfect party favors using CTMH’s Cricut Artiste Collection along with the My Acrylix Big Top Stamp set. 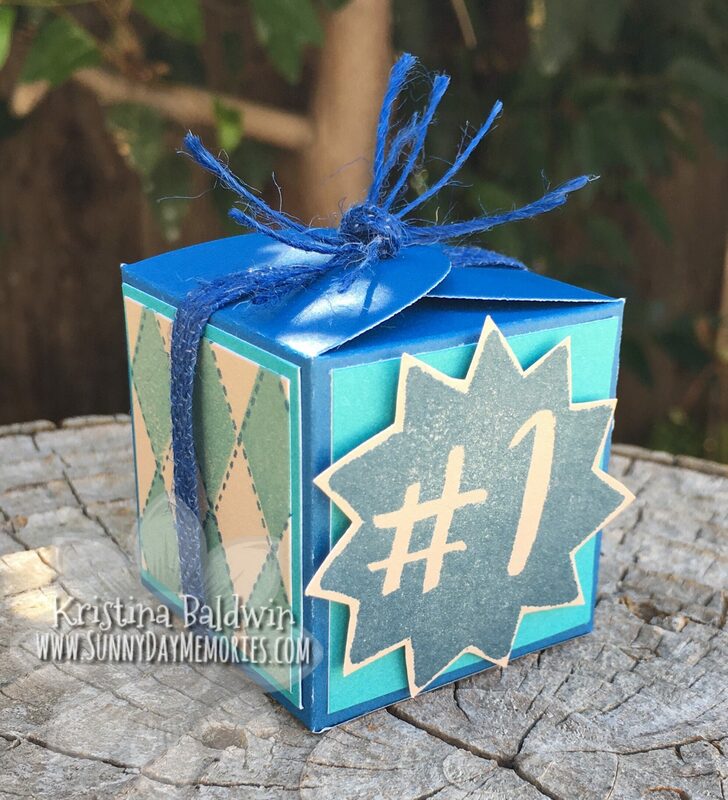 You’ll fall in love with these cute and easy ideas! 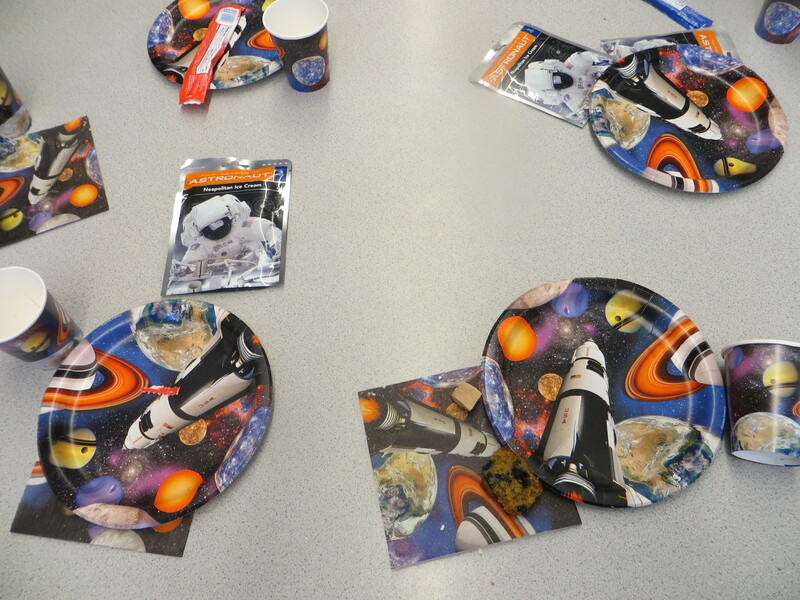 We started with the basics…plates, cups and napkins all in a space theme. Then we added in some fun astronaut ice cream (1 package per 2 students–just in case some didn’t care for it; which actually did happen! 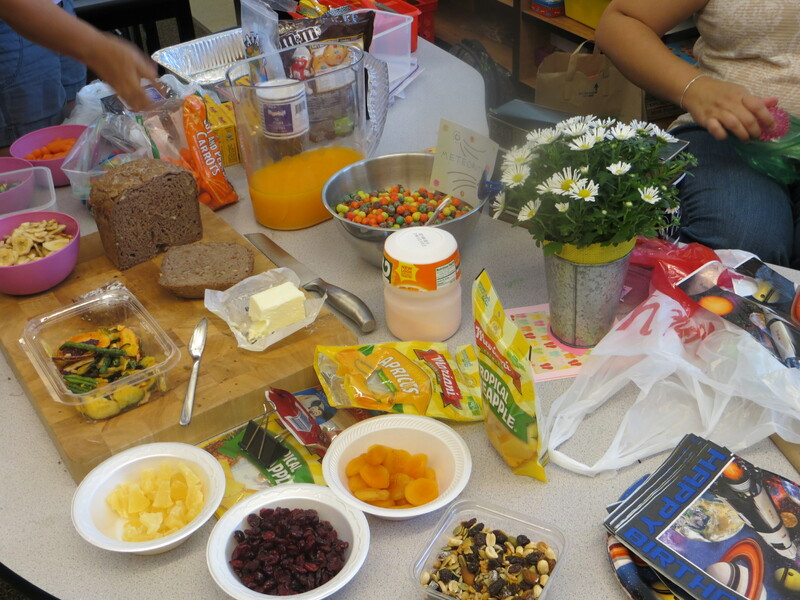 ), Tang and other foods families provided that fit the space theme or could travel easily into space. And of course I wanted to make some sort of treat for the kids. 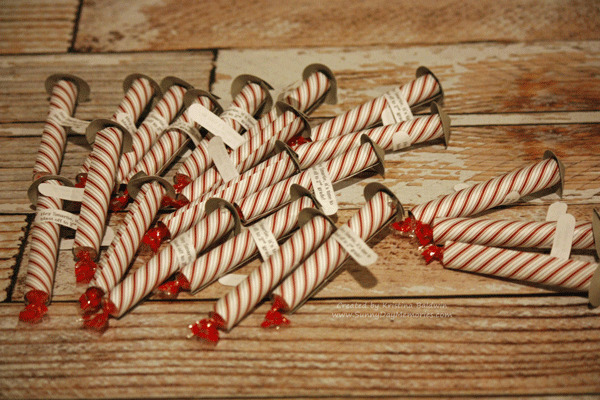 I had the idea to make them little candy rockets and was hoping to use a package of Rolos–thinking I could maybe find them in bulk at Costco–but no such luck. Given that I had to make over 40 of them (I wanted to make them for my son’s class, too) I didn’t want to spend a fortune in time and money on them. This meant I had to change strategy. Mmmh, another candy that could work?? Then while at Target, I saw Smarties. This could work. 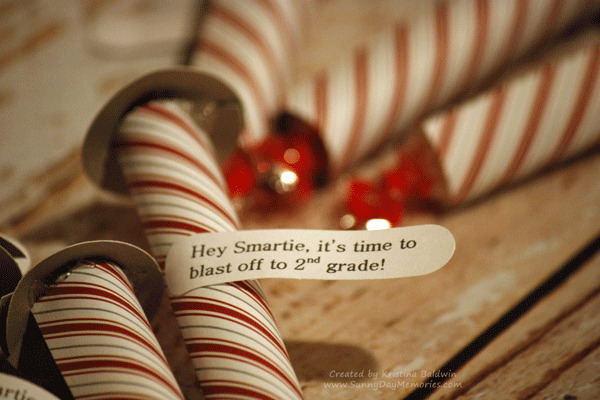 People use Smarties all the time for graduation things, plus it had the right shape to it–only smaller. So I went with it and hoped for the best. After all, the kids would just rip into them within seconds to eat them so as long as the general idea came across, I was happy! It’s a Pirate Birthday Party for my twins this year. First of all, I’m shocked that I’m still able to do a joint party–since they are boy/girl twins. But more shocking to me is that my daughter is the one who chose this year’s theme! My son was more than happy to go along with the suggestion. 🙂 The party is a few weeks away so I’m still plodding away on preparations for it. However, tomorrow in school is when they celebrate birthdays for the month. 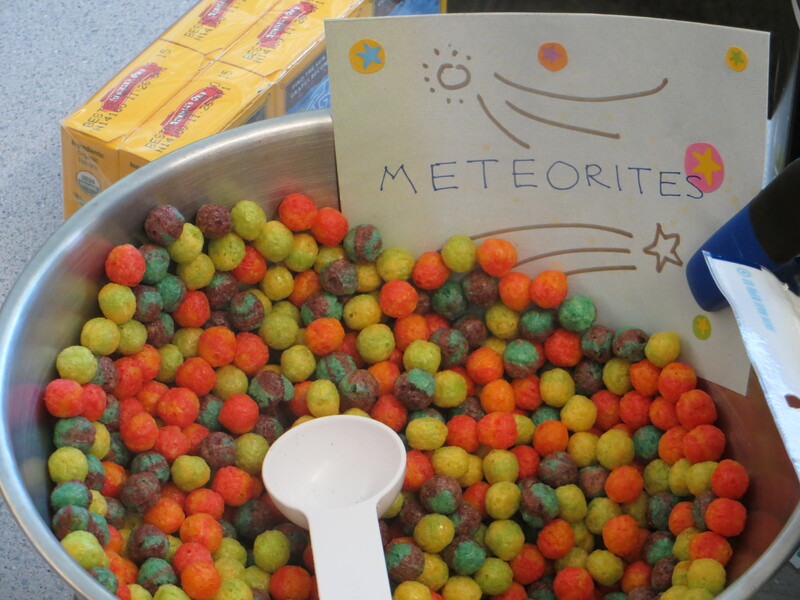 Since one of their teachers requested non-edible treats, I had to find an alternate plan. Enter in the Dollar Store. So many great finds and at the right price, too! I picked up enough little wedding bubble bottles for 40+ kiddos and got to work. 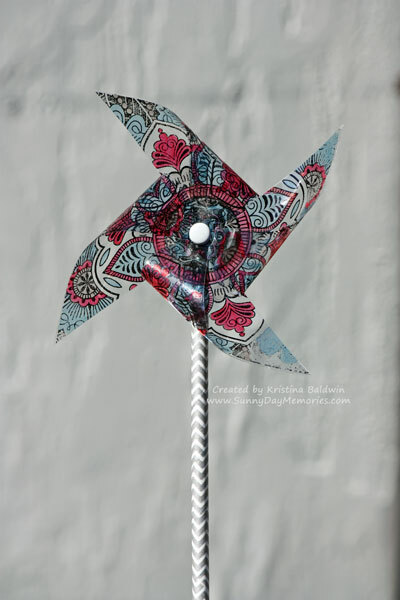 This is such an easy project–and it can be decorated for any occasion! 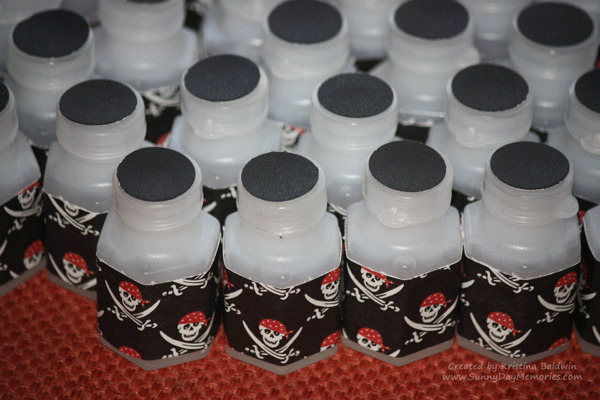 Simply cut 1″ x 4″ strips of paper to adhere around the bottles (I used Liquid Glass so that it would really hold.) Then cut 3/4″ circles to put on the top. You could go fancier or more layers or whatnot. But for 1st graders, I think this will do!